Across all three FWCP regions, we received 118 grant applications for fish and wildlife projects for 2019 - 2020. Our Peace Region Board reviewed 34 grant applications and approved $1,522,534 in project funding to be announced this spring. Grant applicants will be notified in February and projects could start by April. Read our Information Kit for approved grant applicants. Join us in Fort St. John on Thursday, Feburary 21 for a free discussion about forestry and moose. Dr. Roy Rea, UNBC, will attempt to "speak for the moose" and discuss the Chief Forester's guidelines. Read more. Join online if you can't be there. Our Community Engagement Grant is helping fund the Annual Ducks Unlimited Banquet and Auction in Prince George, coming up on April 13, 2019. Read morefor information and tickets. Final reports for FWCP projects are on provincial databases. Use our searchable report lists to find final reports. If you can't find what you're looking for,contact us. Check out our new results page. Connect with the Fish & Wildlife Compensation Program now on LinkedIn. Look for us on Instagram in April. Remember that we have Community Engagement Grants (CEG) available in our Peace Region. Contact us if you have a project idea that will benefit fish and wildlife, especially if it involves volunteers. 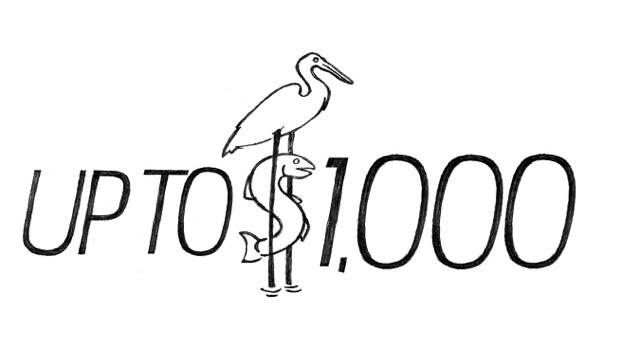 You could be eligible for up to $1,000. They're easy to apply for, with a quick turn-around. The FWCP is a partnership between BC Hydro, the Province of B.C., Fisheries and Oceans Canada, First Nations, and Public Stakeholders, to conserve and enhance fish and wildlife in watersheds impacted by existing BC Hydro dams.